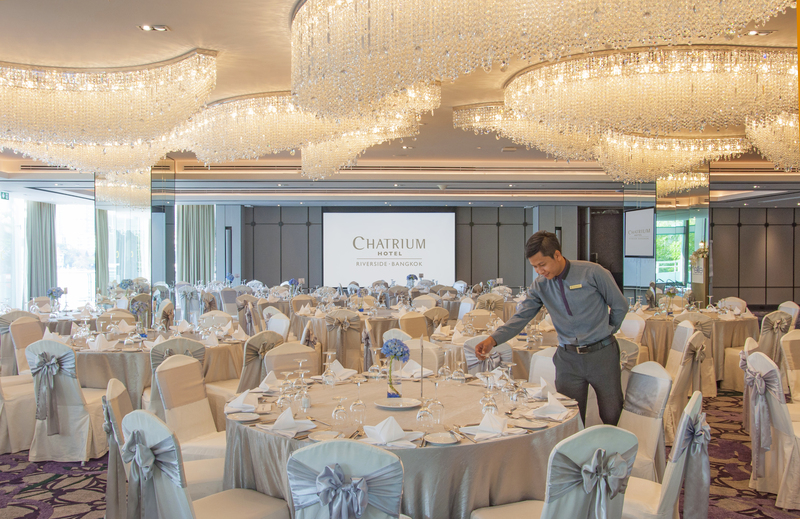 With the unveiling of the new Chatrium Ballroom at Chatrium Hotel Riverside Bangkok the choice of the perfect riverside location to make your event a success and one that’s sure to be remembered by all who attend just got a whole lot simpler. 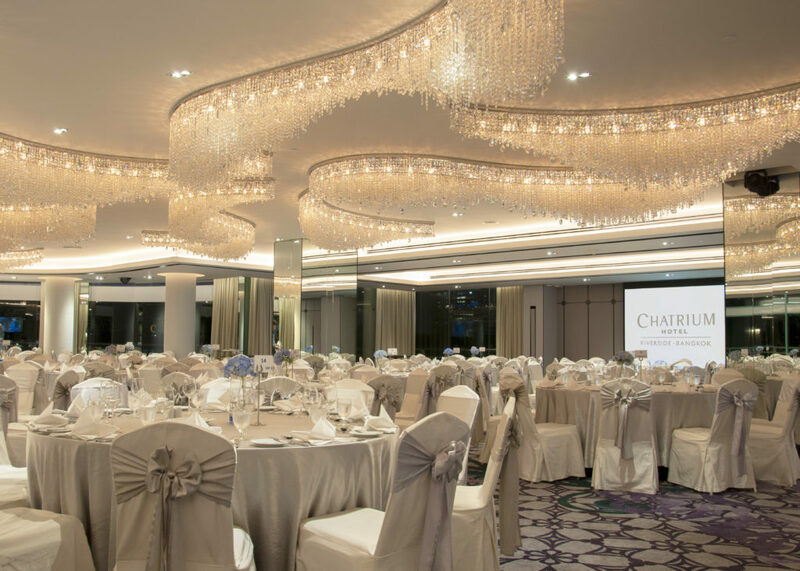 With an expansive 630 square meters of space any type of event you desire is easily arranged with an almost unlimited range of room configurations including I-shape for 70 guests, U-shape for 65 guests, Classroom-style for 400 guests, Theater-style for 500 guests, Buffet-style for 350 guests, Cocktail-style for 700 guests or Banquet-style for 420 guests. The addition of the latest facilities will also ensure your event is one which stands out from the crowd with the latest high-tech sound system, a 4 x 2.25 meter LED screen and three full HD projectors, four 55-inch TV screens with HDMI connectivity and a “follow lighting” system, all complemented by a choice of customized coffee breaks and delectable dining courtesy of Executive Chef Spencer Kells and his team of expert chefs with their wide selection of irresistible Chinese, Thai and international fare plus so much more. The Chatrium Ballroom is also tailor-made for the magical wedding you’ve always promised yourself, with your choice of uniquely innovative themes and stunning décor with a vast selection of Buffet, Cocktail, Chinese or Western banquet-style menus to suit all tastes and budgets and personalized service from our team of experienced wedding planners, who will be delighted to answer any questions you may have to truly make your day one in a million. Previous PostPrevious Visit Maitria Sukhumvit 18 for a Handily Savvy Stay!